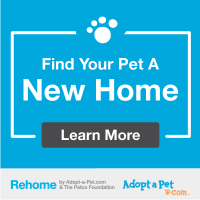 ﻿Have you ever wanted to adopt a pet, but just couldn’t? Do you ever wish extra help could be given to shelter dogs and cats? If you are that someone, please become one of our Guardian Angels. During your time as a Guardian Angel, you will be helping a number of pit bulls as they await a permanent home. Your status will be recognized on our website and Facebook page naming you, your family, or your business as that pet’s Guardian Angel. Anyone who visits us online will be reminded of your generosity. A Guardian Angel funds the care for any adopt-a-bull at Shaw PBR. Thus, during your time as a Guardian Angel, you will be helping a number of pit bulls as they await a permanent home. Sponsor a dog for 6 months for only $250, or 1 year for only $500. Which Adopt-a-Bull would you like to be a Guardian Angel for?